Carlton’s new single wasn’t played at the show, but the colors would’ve fit. Imagine it’s 2002. September. Switzerland has just joined the United Nations. Um… Disturbed just released an album… but not The Sickness, the one after that. You know, with, like, “Liberate” and “Prayer” on it. Oh! The first OK Go record just came out! But most of America won’t know about them until they make that music video with the treadmills. Anyway, what I wanted to say was that “A Thousand Miles” is all over the airwaves and millions of tweenage girls are calling themselves “Nessaholics” because they’re in love with the key-twinkling of a recent ballerina. 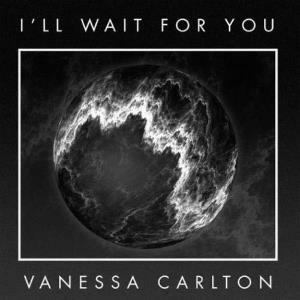 Returning to the present, this author is among the few who have faithfully followed Vanessa Carlton’s career trajectory for over a decade. I’ll praise her work to any ear lent me, as I have done. Yet this week marked the first time I’ve seen her headline a show. In high school I had no car or money, in college I lived far from any metropolis, and for many years Carlton was off the road. I caught her opening for Matt Nathanson (“Come on Get Higher”) once, and received a recorded greeting from her when friends saw her play (thanks Dan), but this was a culmination for me. Boy, this was a fish out of water, but that sure didn’t stop him from swimming. Patrick Sweany was born in Ohio but lived a while in Arkansas and kept the accent he found there. It suits his western style of blues. Armed with a guitar and a stomp box, he let wild sounds and American stories loose from his throat, enough to rowdy up any crowd. Except a bunch of cold Northern Virginia nerds who came to see a pop singer. Even when his stomp box broke and he stalled for the tech guys with fast finger picking and a long practiced story about his youth, the applause and laughter were kept to a minimum. Sweany was a true performer: he never appeared shaken or displeased. But the crowd didn’t treat him near kindly and they didn’t seem familiar with “Them Shoes,” which he introduced as the song that pays his bills. All in all, I must say that this man’s talent was wasted on the unreceptive attendees that night. But he was only the appetizer. Only Carlton’s first song was a solo. She appeared unaided at the keys and launched into “Carousel,” with a new stanza added at the beginning, but afterwards welcomed violinist Skye Steele to the stage. Carlton’s early work (the first three of her four albums) is adult contemporary pop ready for the radio, with bouncy piano melodies frequently supported by full orchestras; but in recent years her output has been subdued, even somber, and the simplicity of one voice, one keyboard, and one violin was perfect for bringing her new material to life. While my ears certainly never rang from loudness, the two players did fill up the stage in a compelling way through maneuvers of tone and dynamics. For these reasons, the past was largely left behind at the show. There were more performances of unreleased tracks from her forthcoming fifth album than there were of songs from her entire pop era. The middle third or so was made up of brand new tunes, including “House of Seven Swords” (written for her brother), “Willow” (written for her parents), and “Unlock the Lock” (inspired by a Bob Dylan satellite radio show she heard while on a dude ranch in Tucson). Steele brought a fascinating new dimension into play by using pedals with his violin on the songs being debuted. His electronic effects and tape loops, paired with his true gift for playing the stringed instrument, allowed him to nuance the music with wrinkles and edges that went beyond notes. Most stunning was his ability to generate so much interest while always yielding the foreground to his friend and benefactress at stage right. A self-proclaimed disciple of (her close friend) Stevie Nicks, Carlton has consciously affected her voice through cigarettes and whiskey, but I’d credit her experience more for the unique timbre she achieves. She won’t sustain phrase endings for long. Her alto is typically from the chest and only carries conversational force outside of climaxes. Her soft, occasionally wispy delivery and the clear influence of a song’s mood on her inflection convey her personality well, such that the audience truly meets her in hearing her sing. Modern fan favorite “I Don’t Wanna Be a Bride” closed the main set with original lyrics intact despite Carlton’s December 2013 marriage to John McCauley of the band Deer Tick. Minutes later, to stirring applause, she emerged again from the darkened wings to finally pay her due to “A Thousand Miles.” The encore ended with “Home,” from 2007’s Heroes and Thieves, simply because it far outshines anything she’s written since as a closer.